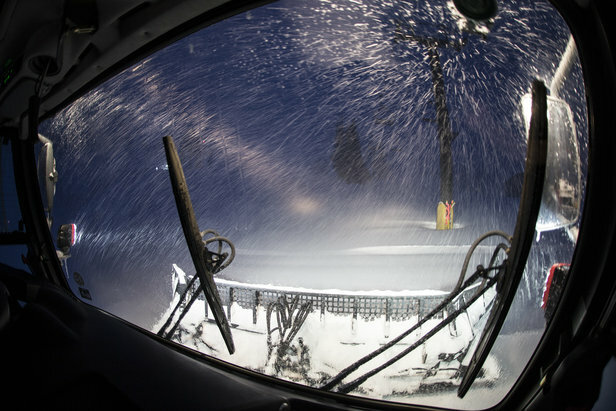 The latest system dropped 12-16" at Mammoth...and that was just the start. Skiers and snowboarders searching for snow have a number of free tools available to them via the internet. The trick is learning enough about each piece of data to know when it can help you find snow and when to ignore it. This article will talk about the water vapor satellite image and how you can use it to find snow. Satellite weather data comes from a piece of equipment that sits about 22,500 miles above the earth. Most of these satellites are stationary above a particular point on earth, so they always show the same view of the earth, 24 hours a day, 365 days a year. Each satellite has numerous sensors that view the earth in slightly different ways. The water vapor sensor detects water vapor in the middle and upper part of the atmosphere. This is one of the most misunderstood readings but also one of the most powerful for detecting storms. Water vapor is always present in the atmosphere, even when it feels very dry and there are no clouds. This is helpful because a water vapor satellite image allows you to see the movement of air even though this air and the water vapor in the air is invisible to the naked eye. Many people are surprised to know that water vapor is in fact invisible and that puffy clouds are made of tiny liquid water drops while thin, wispy clouds are made of tiny ice crystals. Since water vapor is present everywhere, water vapor satellite images show air motions in the atmosphere even in areas of blue skies with no clouds. The purple areas show more water vapor while red areas show less. Notice the area of spin over Seattle and the “ripples” over northern California and Oregon. Identifying these air motions is only possible with a water vapor image because these locations have no clouds for satellites to detect. Why does this matter, and how does a water vapor satellite image help you find snow? It’s all about spin. Storms in the atmosphere spin counter-clockwise in the northern hemisphere, and due to some complicated physics equations, areas of spin in the atmosphere act to lift the air. 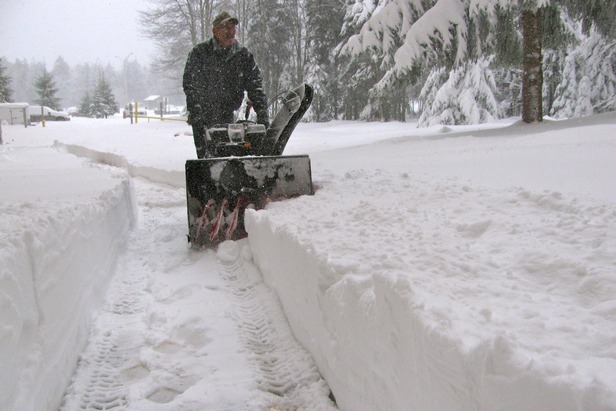 When air is lifted, the air expands due to lower pressure, cools, and the moisture in the air condenses into snow flakes or rain drops. Thus finding areas of spinning air is very important. Many times finding areas of spin is easiest with water vapor images because it allows you to see the air spinning even if there are few or no clouds. When you see areas of spin, there’s likely to be precipitation nearby. Unfortunately there are some limitations with water vapor satellite images. The first problem is that the image shows water vapor in the atmosphere and not the precipitation that is falling on the ground. Second, water vapor doesn’t necessarily mean that it’s snowing—just that a lot of water vapor combined with spin could lead to snow. 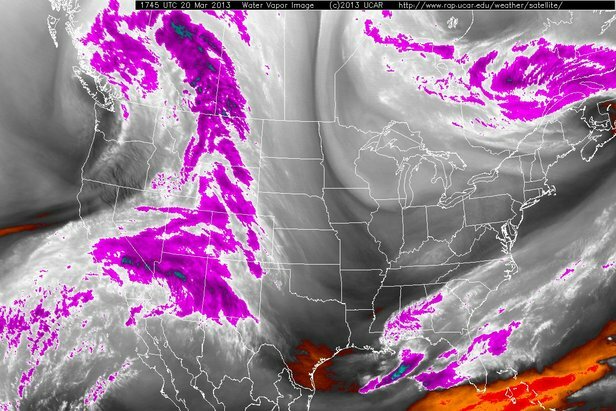 This means that a water vapor satellite image is simply one tool in your weather arsenal, but it’s not the definitive guide to finding powder. How to identify and read an infrared satellite image when attempting to forecast weather patterns and snowfall at ski resorts.